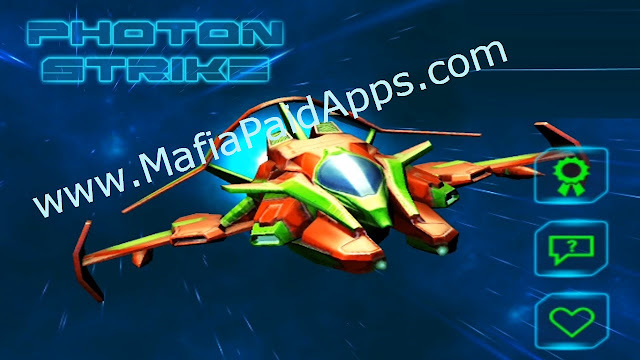 Photon Strike is a classic shmup action game, featuring full 3D graphics and hundreds of levels all in just a 25MB download! In the distant future, automated bots designed to maintain space stations were left on their own. After a decade of uncontrolled self reconstruction they grew in numbers. Self-defense mechanisms turned them into a dangerous swarm spreading all over the planet Earth's sky. Your mission is to eliminate this threat. This scrolling “Bullet Hell” shooter will not forgive you any hesitation in your way to save our galaxy! Evolve you spaceship into the ultimate weapon to defeat the enemy force! * 200 Levels in 4 difficulty modes. * 6 EPIC boss battles. * 16 tier weapons upgrade system. * Power-up pickups in battles. * 3 spaceships to choose from. * Smooth gameplay and controls. * Perfectly optimized for low end devices!